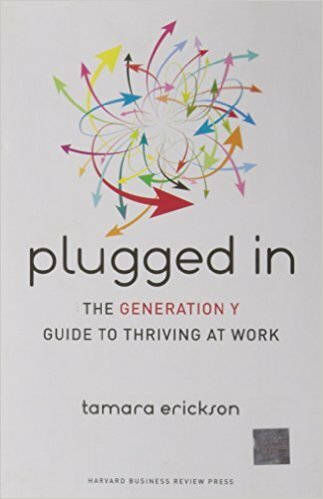 Tamara J. Erickson is a McKinsey Award-winning author, a leading expert on generations in the workplace, and a widely-respected expert on collaboration and innovation, the changing workforce, and the nature of work in intelligent organizations. She has three-times been named one of the 50 most influential living management thinkers in the world by Thinkers50, the global ranking of business thinkers created by Des Dearlove and Stuart Crainer. She has written a trilogy of books on how individuals in specific generations can excel in today’s workplace: Retire Retirement, What’s Next, Gen X? and Plugged In, and is working on a fourth book for the generation under 17 today. 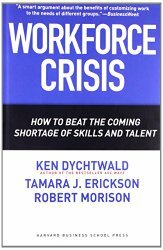 Tammy has authored or co-authored numerous Harvard Business Review articles and the book Workforce Crisis: How to Beat the Coming Shortage of Skills and Talent. Erickson holds a BA degree in Biological Sciences from the University of Chicago and an MBA from the Harvard Graduate School of Business Administration and has served on the Board of Directors of two Fortune 500 corporations. Tammy is the Founder and CEO of Tammy Erickson Associates, a firm dedicated to helping clients build intelligent organizations. Tamara (Tammy) J. Erickson is an Executive Fellow of Organisational Behaviour at the London Business School, McKinsey Award-winning author and widely respected expert on organizations and the changing workforce – on the shifting relationship between individuals and corporations – and on enhancing innovation and workforce productivity. Her work is based on extensive research on changing demographics and employee values and, most recently, on how successful organizations innovate through collaboration. 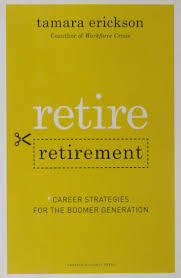 Erickson has authored or co-authored numerous Harvard Business Review articles, including “It’s Time to Retire Retirement,” winner of the McKinsey Award, an MIT Sloan Management Review article and the book Workforce Crisis: How to Beat the Coming Shortage of Skills and Talent (Harvard Business Review Press, 2006). She recently completed a trilogy of books published by Harvard Business Review Press on how individuals in specific generations can excel in today’s workplace: Retire Retirement: Career Strategies for the Boomer Generation and Plugged In: The Generation Y Guide to Thriving at Work were published in 2008 and What’s Next,Gen X? Keeping Up, Moving Ahead, and Getting the Career You Want was published in 2009. Erickson's blog, "Across the Ages," appears on the Harvard Business Review site where it is the highest-rated blog. Her entries address how the talent shortage and shifting employee values will create opportunities for individuals—and challenges for corporations that are not prepared. Her article "Leading Across the Ages" was one of Harvard Business Review's Breakthrough Ideas of 2008; when HBR.org created a Best of 2007, a collection of the editors' favorite content from the entire year, three of the 19 selections are based on Erickson's work. "Generation X will have to sharpen its skills if it can succeed in making the generations collaborate…. Erickson has written a book that is right for its time, full of illuminating insights and useful for anyone struggling with generational tension in management." "Thanks again for a fabulous presentation and discussion. Very well done. Very informative and engaging. I really really appreciate the effort you made to engage the team on this topic. Many implications for our firm." "Thank you so much for presenting at our conference. We have and continue to receive great feedback on the conference overall, and in particular, your presentation. Out team appreciated your depth of knowledge and research, global focus, humor and wit. We consider ourselves fortunate to have been graced with your participation!" "Your presentation received some of the highest marks we have ever seen at the IACPR. They loved your insights, your humor and, obviously, your expertise. And we appreciate how flexible you were as we kept coming against new surprises in the planning process! Again, thank you, thank you. Everyone wants your book so we'll be doing a bulk order for the attendees." 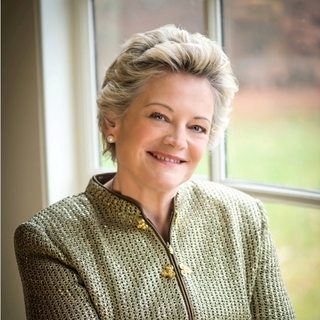 "Tammy Erickson was a phenomenal success! Our President said it was the best presentation of that type that he's ever heard and we are thrilled! We had people clamoring for copies of her presentation and it was a great idea to place her first on the program as she set the tone for the day and raised the bar considerably. It's always a good sign when no one even gets up to grab coffee!" "What an honor it was for me to introduce you at the conference! Your presentation set the tone for our agenda and I stopped counting the number of references that followed that was offered in your talk. I could not think of a better kick-off for the conference. Thank you again for your time and enthusiasm." "I wanted to express our thanks to you again for speaking at our 2006 Partners' Meeting. Your keynote session was extremely well-received, and garnering the highest points of the meeting on attendee evaluations. Some comments, in particular, I wanted to share with you were:"
"My heartfelt thanks for joining us at the IACPR Conference and for a truly inspirational presentation! Positioning you as our first speaker was the smartest thing we did—you set the tone for the rest of the conference and every speaker that followed you made reference to your remarks. You got tremendous feedback from everyone in the audience. Personally, I sure felt the reality check! We have decided to purchase a copy of your book for each member who attended the conference; we felt that you made an enormous contribution to each of us. I think we each believe we have a responsibility to educate our companies—with a sense of urgency—about how to take action for the talent market ahead. You have an open invitation to join us for any IACPR conference in the future; it would be our pleasure to have you back anytime." "I had the privilege of hearing Tammy's presentation to the International HR meeting in Houston last Wednesday. It was most thought provoking and challenging and her presentation and delivery were excellent. It was my first time to hear her talk and in speaking with colleagues, they commented that ‘they always go hear her wherever she is. She is great.' Well, you now have a new convert. Many of her points resonate with what our senior HR management have been saying." "You did a great job. You hit all the objectives I had for your discussion. I look forward to working with you in the future."